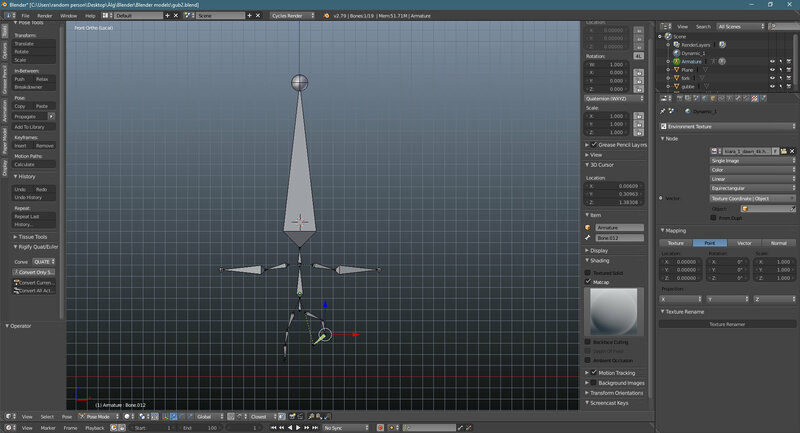 I'm trying to learn how to rig a simple character, I've watched https://www.youtube.com/watch?v=cp1YRaTZBfw but my bones are bending the wrong way. 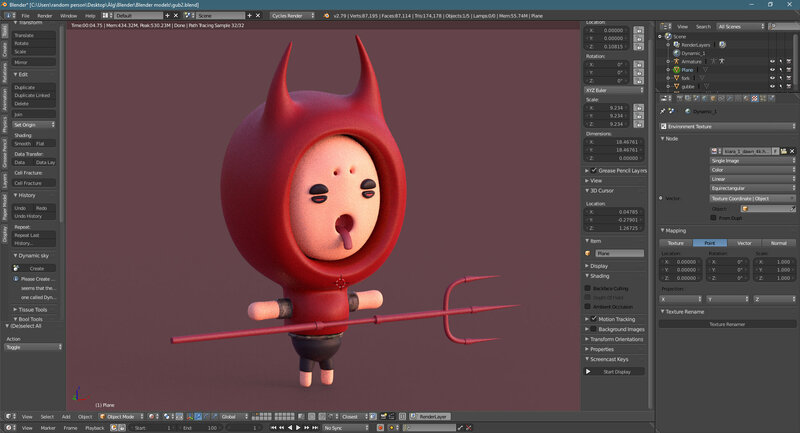 I've also read this sort of advanced solution for me https://blender.stackexchange.com/questions/80739/ik-constraint-rotates-the-wrong-direction but it won't work with the armature I've created I think or maybe I'm doing something wrong. I'm stuck and can't figure out how to make it bend forward like the one from the tutorial I was learning from. Not a blender user, but why are there three bones in leg? If the character had feet then it would make sense, but here, just two bones should be enough. Also in your link about advanced solution, did you made the knee(whatever is considered a knee here, since its three links i have no idea) a bit forward compared to rest of leg? Because currently in your concept the legs are facing to sides rather then to the front, so ik solves it like they should bend to sides. If that is by design, then maybe its possible to make them face forward, do the ik and then rotate them sideways. Just throwing some ideas.